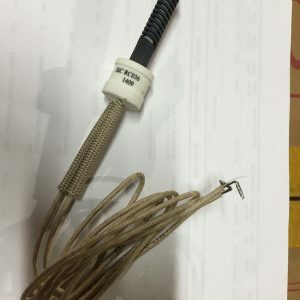 The 902661A Nordyne furnace hot surface ignitor is a brand new exact factory OEM replacement ignitor kit for Nordyne furnaces. The 902661A is also used in Miller and Intertherm MBHA-01 & MMH-05/06/07 series gas furnaces. The Nordyne part number is #902661A. 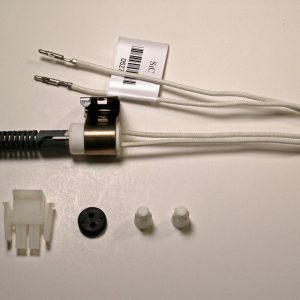 This ignitor kit has three optional terminal connectors. 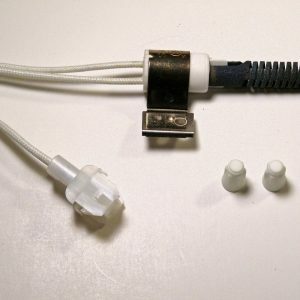 You can easily slide the terminal connector that you need to use on the wire ends. 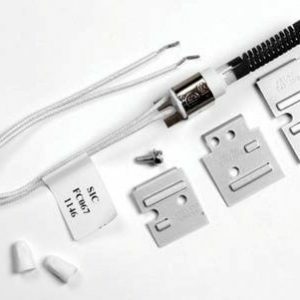 None of the terminal connections come installed on the ignitor so you can choose the connector you need and easily slide it on. In the picture below it shows one of the terminals installed. 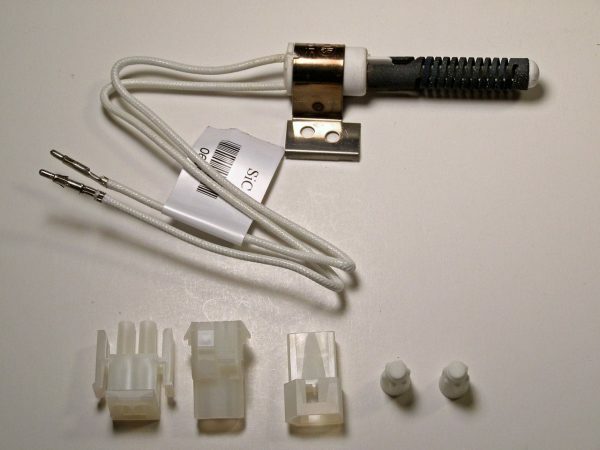 The ignitor you will receive has all three terminal connectors loose in the box.